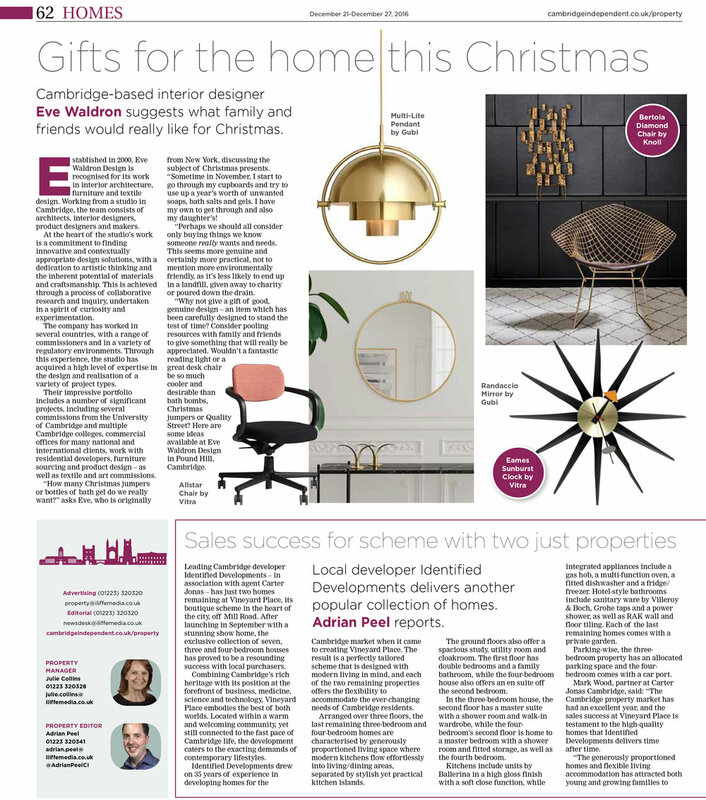 The furniture and lighting currently on display in our new showroom includes pieces from HAY, Vitra, Secto, Knoll and Gubi - as seen in last months edition of the Cambridge Independent! As well as finding these designer items in store, there is also a collection of bespoke items on display, designed by Eve - such as cushions, rugs and a plush velvet sofa. More items will be arriving soon, and we shall keep you posted. Come and visit us at The Corner Shop, St Peters Street, Cambridge, up behind Kettle's Yard.